Chocolate. The one word says it all. This is a celebration of it, Valentines day or not. 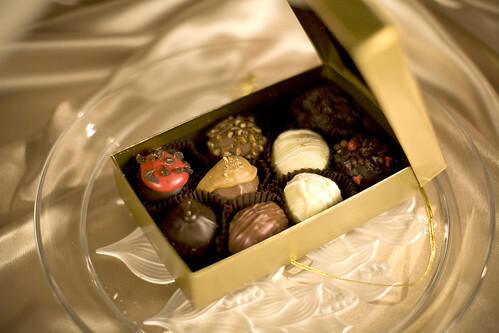 Her road trips have reaped the discovery of some of the finest handmade chocolate. You can order Swiss chocolate (and she did merely for variety), but the best yet is from a tiny shop in Meetseetse, Wyoming and another in Deadwood, South Dakota. And she’s had some fine chocolates as you’ll see. 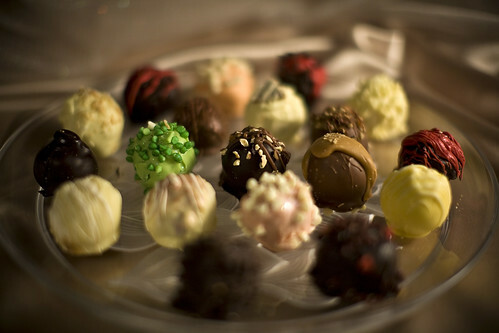 Here, in her opinion, are the standards, the chocolate truffle go-to’s, some classics, and some not. They’re anything but basic. This post is all about taste and will run the gamut from some of the best handmade truffles in the world to a “flavored” chocolate syrup. And she insists Champagne to savor them properly is really a must (make it nice and dry, please). 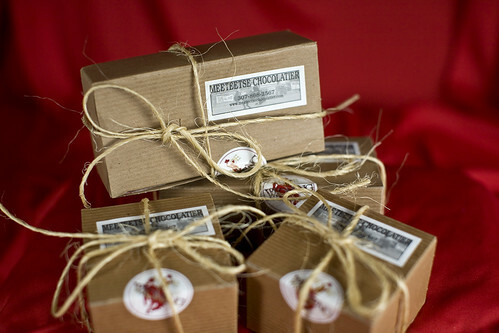 The Meeteetse Chocolatier is off the beaten path. During a tour of the West, a merchant in Cody, Wyoming tipped her off to the cowboy confectioner. Tim Kellogg is a real cowboy. And a chocolatier. Seems an unlikely combination of talents, but that did not deter her! He’s not been making chocolates for 100 years, or even 10, but it’s obvious at the first taste, it doesn’t take that long to perfect something divine. 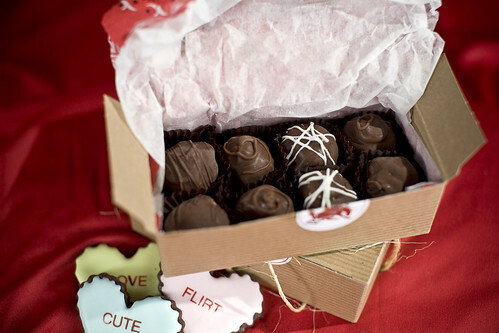 From his website: “In June of 2004, my mother suggested that I make a bunch of truffles and brownies to sell during the Cody Stampede as a way to raise money for a new bronc saddle. I said Absolutely Not! My mom finally talked me into getting a booth at Art in the Park, and that was that.” Ahhh, were it not for the advice of Mothers! The world might be chocolateless. She shudders. Vosges Chocolate was inspired when Katrina the Chocolatier and genius behind these uniquely exotic truffles, had a life moment with truffle beignets at the Place des Vosges. Combining chocolates from all over the world with unique ingredients, such as dark chocolate infused with Japanese wasabi and ginger topped with black sesame seeds, lends a delightful twist. 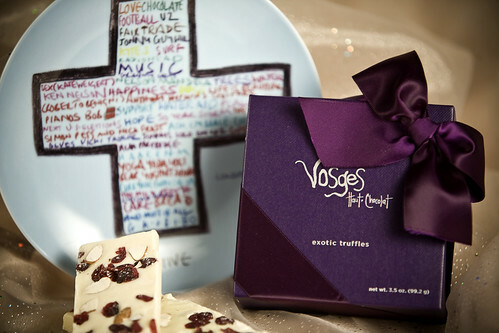 She had eaten a few boxes of these before learning the correct pronunciation of “Vosges” and wants you to have that very important information so that when you call to place your order, there won’t be any confusion on your part about having dialed the correct establishment. Just say “Vohj” real fast, kind of drawing out the end a bit, with as much of a French accent as you can muster, and you’ve got it. The factory’s in Chicago, so actually, any accent will do. Coldplay designed the plate. 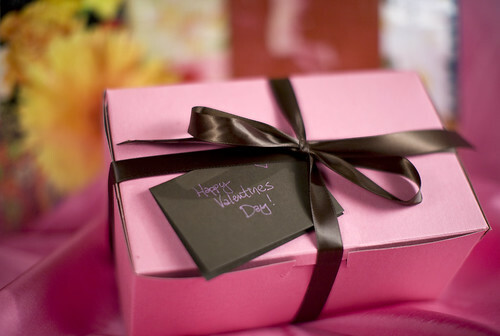 Since the top two words are “Love and Chocolate”, she bought it. Besides, she likes Coldplay. Here’s another of her favorites. Teuscher chocolates are imported from Zürich, Switzerland where they’ve been making them for 70 years. Her husband bought the first box several years ago in New York on business. 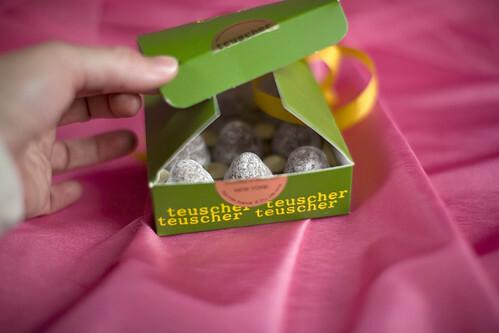 The Classic Champagne Truffles are the signature chocolate of Teuscher. There’s really a smidgen of Dom Perginon champagne creme in the middle! 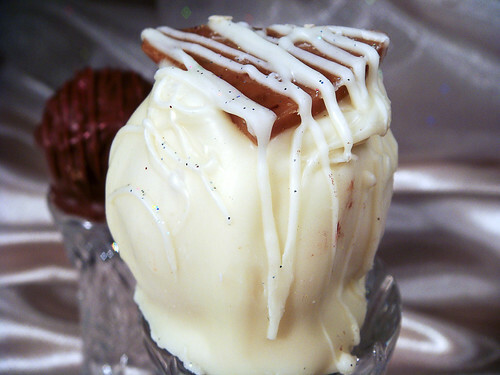 So guys, this one truffle will meet your quest for chocolate and champagne all in one convenient bite. Not. You didn’t think she was a total chocolate snob, did you? Being a true chocoholic is not nearly as profound as some will lead you to believe. No proper story about truffles, champagne, diets, wasabi, cowboy confectioners, and words she can’t pronounce would be complete without chocolate syrup. And yes, it does say “FLAVOR”, as in, it’s not the real thing. Forget it. It’s good. 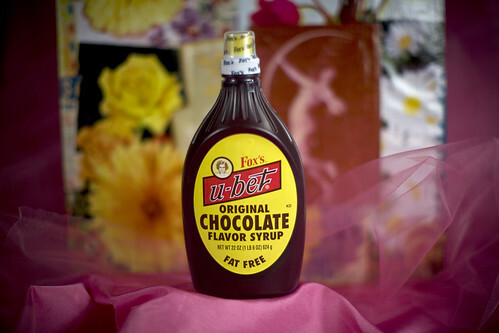 Fox’s U-bet Original Chocolate Flavor Syrup has been made for 104 years in Brooklyn, NY. They know chocolate syrup. Here’s the recipe for the famous egg-cream for which their syrup was originally intended. Of course there’s a favorite. 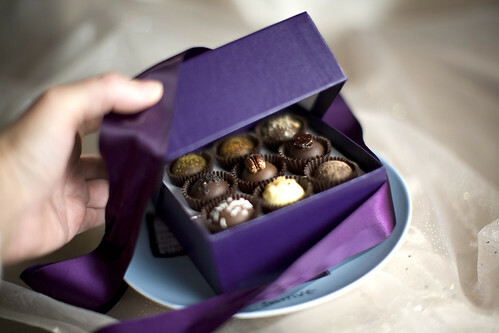 She won’t bore you with all the appropriate superlatives these truffles deserve. 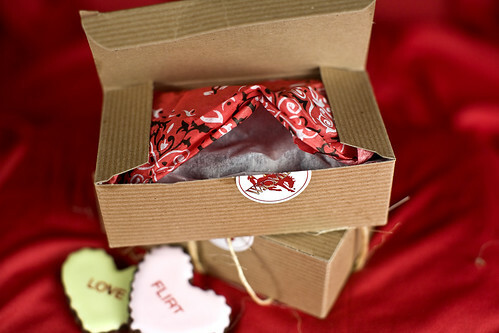 You’ll simply have to order a box for yourself or someone you really, really, really love. The Chubby Chipmunk was discovered on a winding road trip that found her in Deadwood, South Dakota. She broke the law there. Not over these, however. But mind you, they’re that good. They don’t look the same as other truffles. Kind of lopsided and mishapen and a bit alarming when the lid is raised, you slowly realize as you’re examining them, they’re handmade. As in no machine touches them, ever. They’re so beautiful you feel sad at first to bite into one. That passes quickly. They’re about an ounce-and-a-half of exquisite chocolate sublimity. She’s addicted to the darks and feels certain the diet will be breached over one, or more of these. Champagne. Whoever said champagne was meant for celebrating didn’t drink much of it. She doesn’t know about you, but it’s made for drinking, and with anything you like. She overwhelmingly prefers it accompany chocolate. Technically, as you’ve likely heard, “champagne” refers to wine from the Champagne region of France. Practically, it refers to any bubbly you want, but if it’s not from France, the correct term is “sparkling wine”. P.S. She’s actually had a glass of Dom Perignon and was disappointed, a real blow. Maybe her expectations were too high. Her taste buds too low. this post is all about taste to be specific nice as you are sharing things which came to your mind. he best things are always expensive. There are several manufactures of champagne who have so far been rated as the best across the globe..very yummy to look this site. I love it! ‘She’, chocolate, and champagne! Delightful reading! !